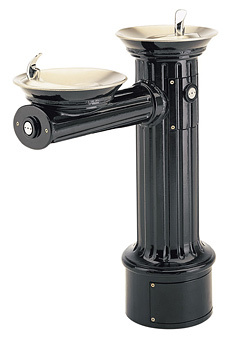 Model 3511 is a 'Hi-Lo', barrier-free, antique style, historic fountain made of heavy-duty cast aluminum with a powder-coated finish. It is designed for pedestrian and physically challenged users. It is suited for architectural styles exhibiting an "old town" ambiance, as well as playgrounds and parks. 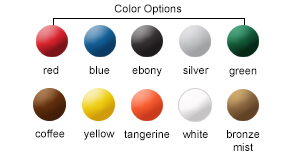 The standard color is black; other colors available at additional cost. Model 3511 meets current Federal Regulations for the disabled including those in the Americans with Disabilities Act. Haws manufactures drinking fountains, electric water coolers and electric drinking fountains to be lead-free by all known definitions including ANSI/NSF Standard 61, Section 9, California Proposition 65 and the Federal Safe Drinking Water Act.